Comments: The cover has visible markings and wear. The cover has curled corners. The cover may have stickers, markings, or sticker adhesive on it. The book has a slight curve or bend to it. The pages are in Good condition but show signs of gentle use! There is light highlighting or handwriting through out the book. There is writing, discoloration, or markings on the edges of the pages. The book has pages that are folded or dog eared at the corners. Codes or product keys that accompany this product may not be valid. Fast Shipping in a Standard Poly Mailer! 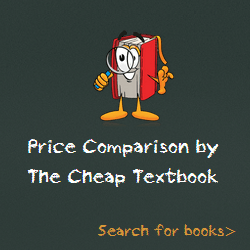 This entry was posted in Book and tagged 1285077091, 978-1285077093, Top Textbook 2018 on January 11, 2018 by Textbooks.